India as a democratic nation is totally a perfectionist with regard to the framing of rules and regulations, though lags way behind particularly with regard to the implementation part. 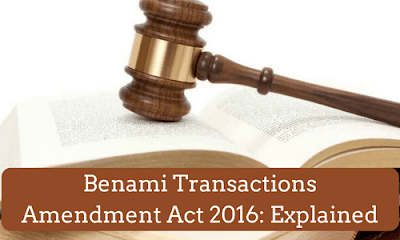 One such law which was rolled out in 1988 was the Benami Transactions Act. “Benami” literally implies ‘without a name’ and as such the Bill was rolled out by the government to check the illegal transactional activities that eludes state scrutiny, causing irreparable damages to the Revenue position of the state. A Benami transaction literally implies a transaction in which the real benefactor is not the person in whose name the transactional arrangement has been done, rather an ‘alibi’ to the original benefactor who will be amply rewarded for the purpose of serving as an alibi. In short the real benefactor remains hidden all through the transactional arrangement. The implementational difficulties associated with the Act of 1988 called for a revamping of the same as Benami Transaction (Prohibition) Bill in 2011, which had lapsed, only to be rejuvenated, introduced and passed in both the houses of the Parliament by the present BJP regime. The Bill hopefully has become an Act, Benami Transactions (Prohibition) Amendment Act 2016, with effect from 11 August 2016 with the sole purpose of curbing the flow of Black money into the economy via transactions involving tangible as well as intangible assets. Under the purview of the Act, a transaction is characterized as Benami if the asset involved is held by one person and transactional arrangement is made in the name of the other who does the same for fitting rewards. Assets involved in a Benami transaction includes movable, immovable, tangible, intangible, any rights, assets, legal documents Gold as well as financial assets. 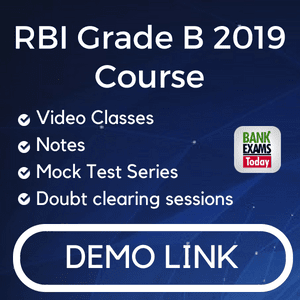 Appointment of an initiator, preferably Deputy Income Tax Commissioner for the purpose of initiating proceedings into a transaction being designated as a Benami transaction. Appointment of an Adjudicating authority to which the initiator refers the case if it involves a Benami transaction. It consists of a Chairperson, preferably a member of Revenue Service or Income Tax Department; at least two members who will jointly decide the fate of the referred case in a pragmatic, one year period of time. Decision made by the Adjudicating authority can be contested before the Appellate Authority which consists of a judicial member as well as Administrative member, preferably from Revenue Service. A transactional arrangement once declared as Benami transaction will be managed, and assets involved will be confiscated by the Income Tax officials. Punitive measures comprise of one to seven years rigorous imprisonment and a fine of up to 25 % of fair market value of the assets involved. The first and foremost reason behind implementing such an amended bill with redefined conceptualizations is to keep up with the agenda of the present BJP regime which is to root out the menace of unaccounted money from the financial system. The purported objective is to bring in efficiency transparency as well as accountability into different transactional arrangements based on movable, immovable, tangible, intangible, financial or assets of other nature. 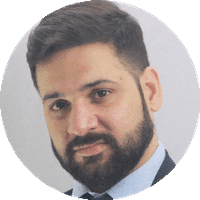 However, whether the Act would serve its purpose or realize its potential largely depends on the scope and coverage of the Act with regard to the financial system as well as the transactions involved.